Bachledka resort can be accessed in summer by car from the village of Ždiar and on foot also from the village of Malá Franková and Jezersko. Nice accommodation facilities can be found also in the nearby villages of Zamagurie and Tatras that are in the immediate vicinity of our resort. It is up to you to find yourself the right accommodation. You can stay at a luxury hotel, a nice guest house or in a private house or a cabin offering a home-like accommodation. More information. You do not need to worry about staying hungry or thirsty while hiking the Trail among the Trees. There is a buffet at the upper cable car station. Gourmet food is offered in the Bachledka hotel restaurant situated near the boarding cable car station. This year a new panoramic restaurant is going to be opened here and it will offer a beautiful interior and beautiful view on the Belianske Tatras. 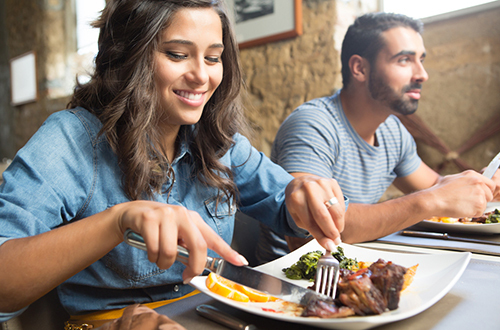 You will be able to choose from the large variety of fresh quality food and excellent drinks. More information. 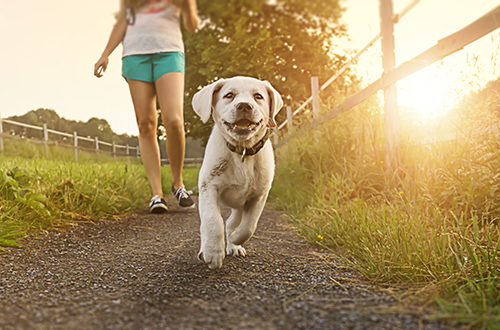 As the rules of the Trail among the Trees do not allow the entry with a dog, you can leave your dog in one of our aviaries. If you go skiing and later decide to hike the trail you can leave your ski kit and skiing boots in the storage room and borrow a pair of appropriate and safe shoes. 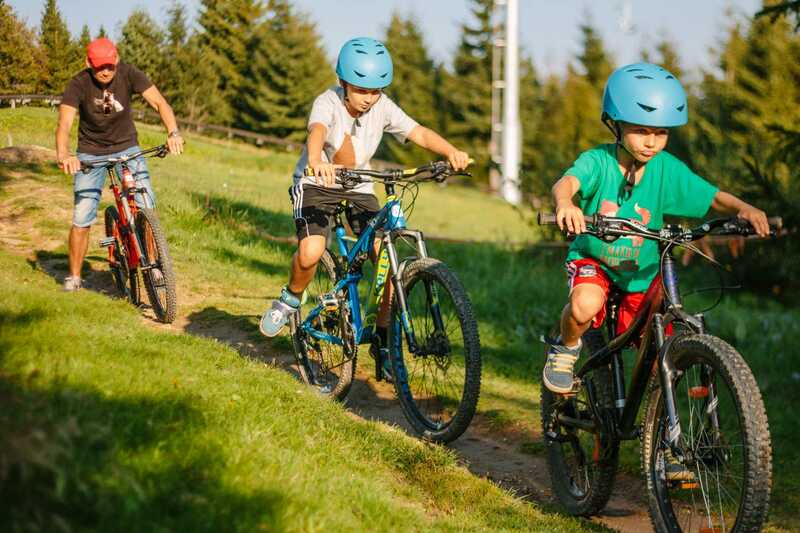 You can rent the state-of-the-art models of downhill bikes, enduro bikes or XC bikes. Bikes can be reserved in the bike rental shop. If you wish to reserve the bike in advance call +421 52 44 98 101 or email us at info@bachledka.sk. BECAUSE OF RUNNING BUILDING WORKS IS THE BIKE RENTAL IN 2018 CLOSED. Make yourself and your family members happy by buying them souvenirs and other accessories in our shop located in the tourist information centre. You can choose from a large variety of souvenirs, famous brand sports clothing and outdoor clothing and sports accessories. 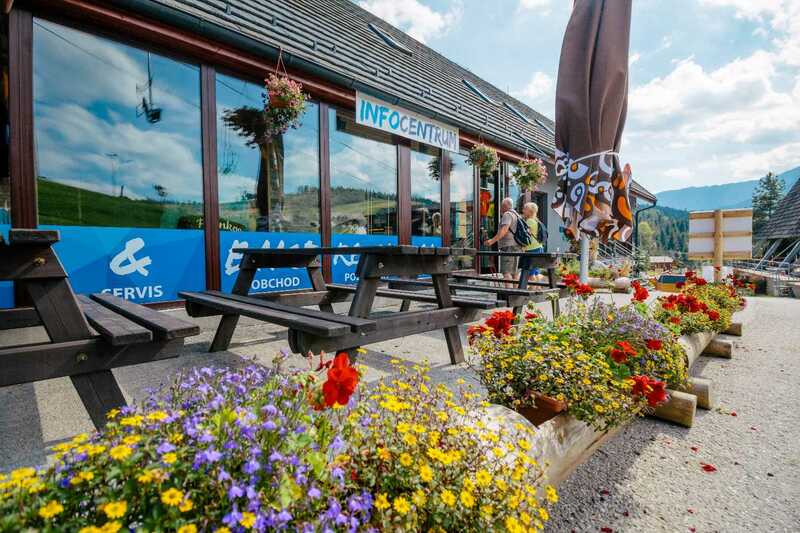 If you need advice or information about attractions, free time activities, nearby cycling routes, accommodation, restaurants or other activities for tourists we are happy to help you at the tourist information centre. 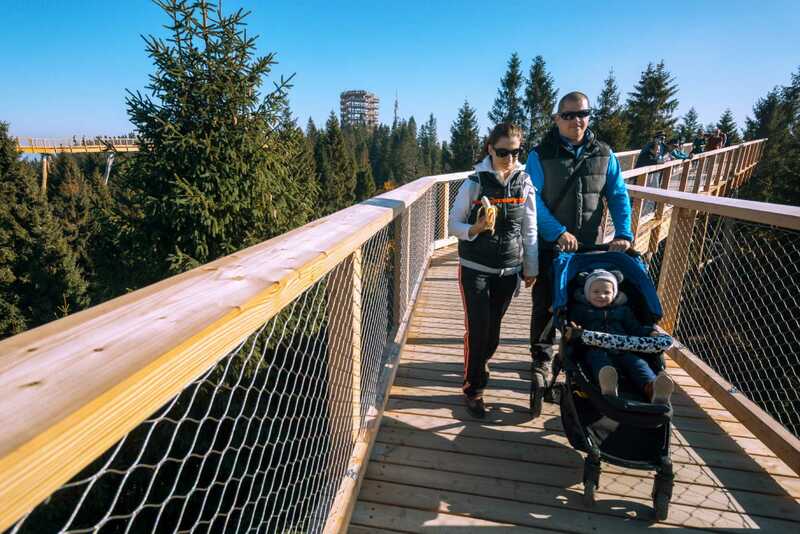 You do not have to bring your own baby carriage to walk along the treetops. At the entrance of the Treetop, you can rent a MOON stroller free of charge for a refundable deposit and enjoy a comfortable walk with the youngest family members. In Souvenir stand in Bachledova can you rent a baby carrier ERGOBABY (suitable for children under 1 year) or tourist baby carrier (also suitable for older children) for a fee of 5 eur. We do everything for your comfort. More information about rental services. 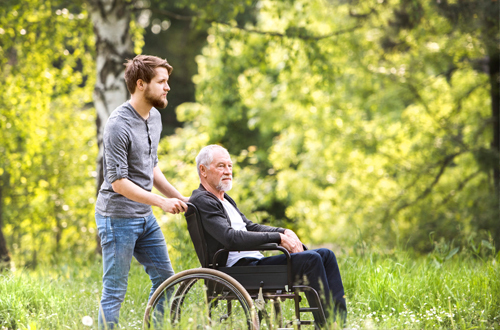 You can also take relatives with limited mobility to walk along treetops. At the entrance of treetop walk, you can rent a wheelchair for a refundable deposit. 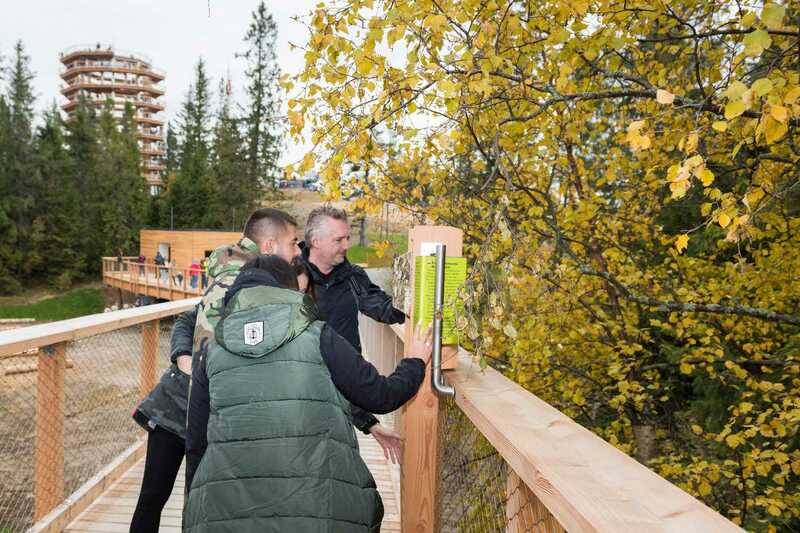 Due to construction work it is not possible for wheelchairs to reach the treetop walk until the end of summer.